FOXSEW Automatic Placket Setting Sewing Machine, Automatic Placket Setting Machine Workstation. This machine adopts movable machine head of global innvovative design, sewing and cutting the placket can be done in one progress. So it can reduce the wrinkle in the bottom of Polo, especially for sewing the visible, invisible and ornamental T-shirt fronts. It can sew the cloth with or without strip. It can select to be matched with angle knife and auto-exchange feeding function. The capacity can reach 2000-2800pcs per eight hours. 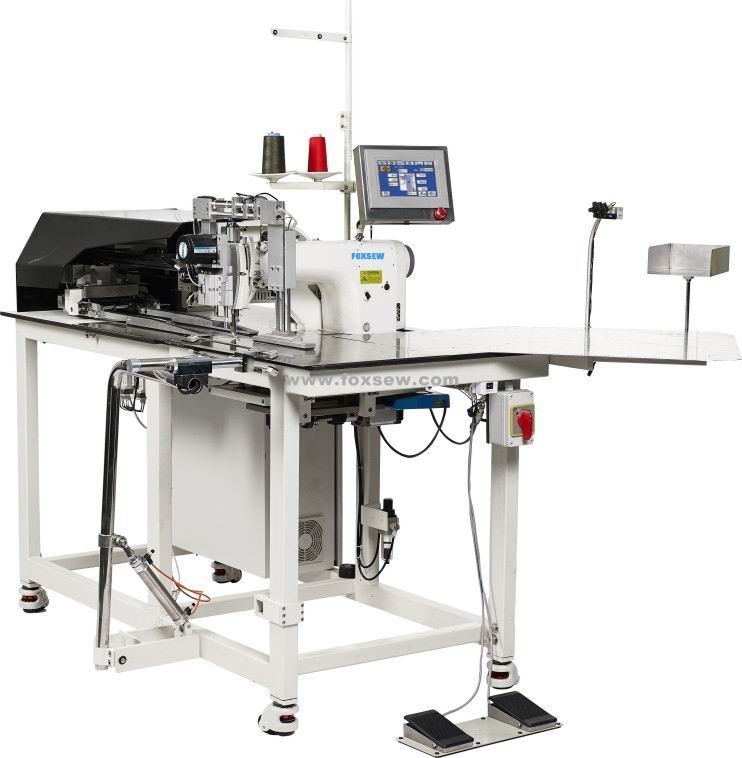 FX-580A-01 is a single needle single blade computerized placket setting sewing machine and it's mainly used for sewing single side placket, also name as wrap over front, plain front button panel. FX-580A-02 is a single needle double blade computerized placket setting sewing machine and can convenitly switch between single needle and double blade, therefore, it can be used for sewing single side placket, also named as wrap over front, plain front button panel. and both side placket, also called as double flanged bobbin, visible flanged bobbin or Polo flanged bobbin, with diversified functions.